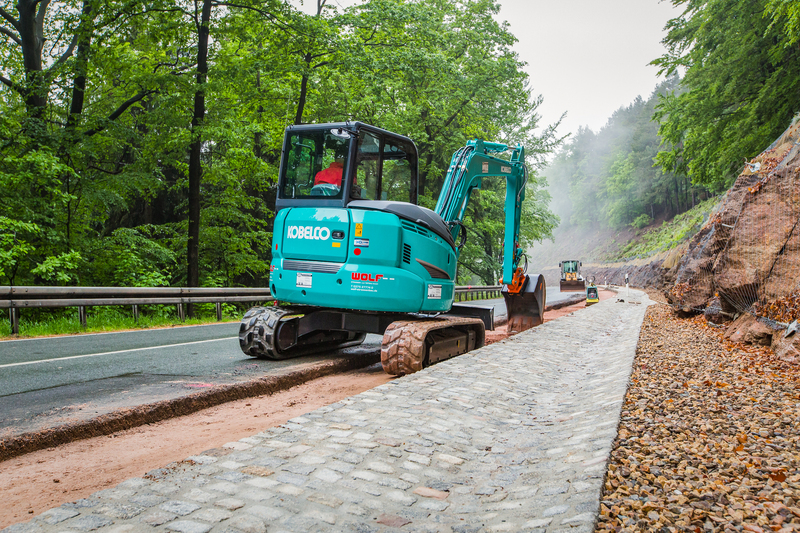 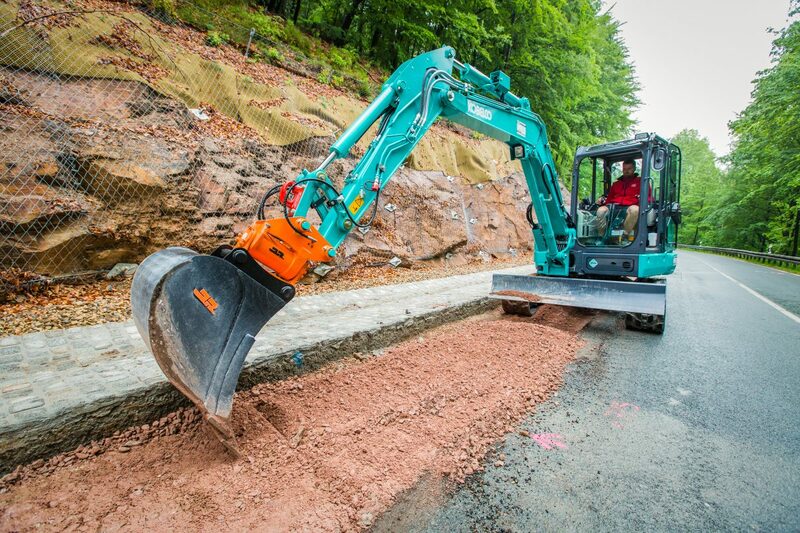 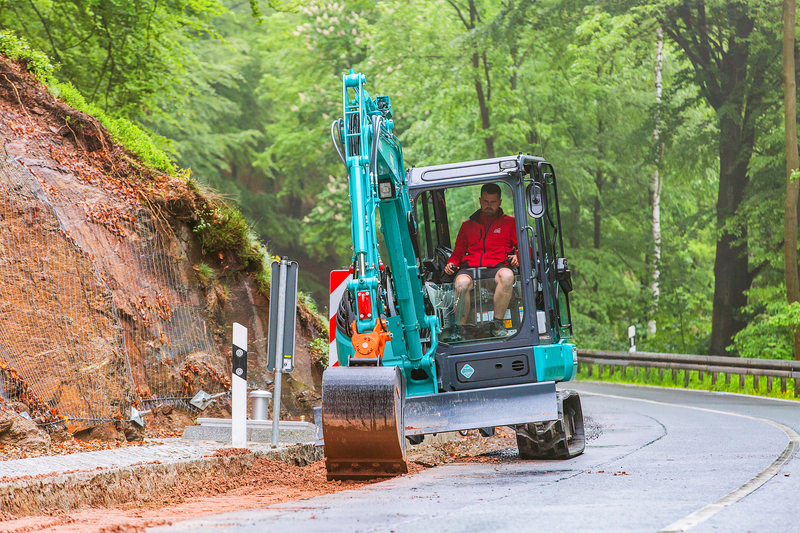 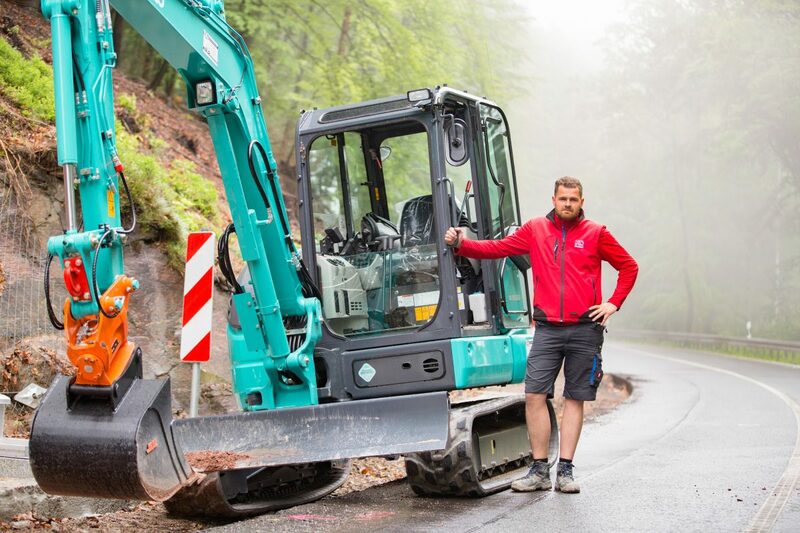 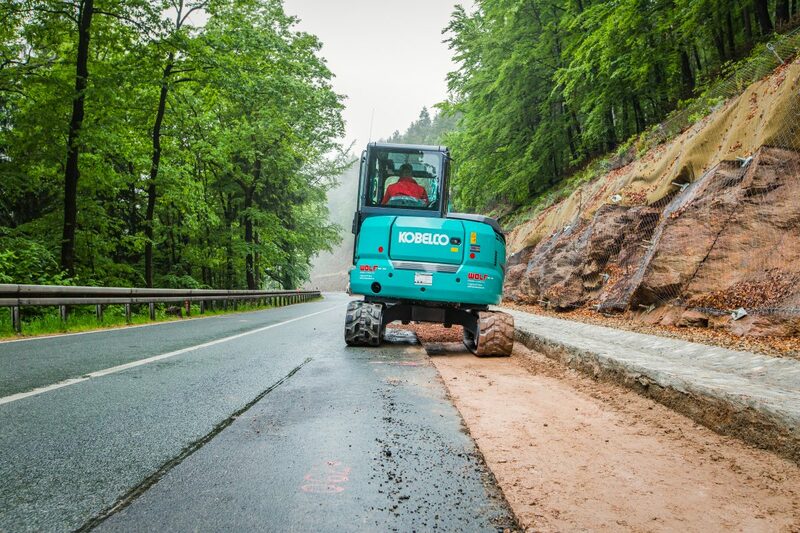 Michael Hartman - Kobelco Construction Machinery Europe B.V.
Michael Hartman is currently using a Kobelco SK55SRX-6 for digging and levelling at the side of a road, which is close to a forest. 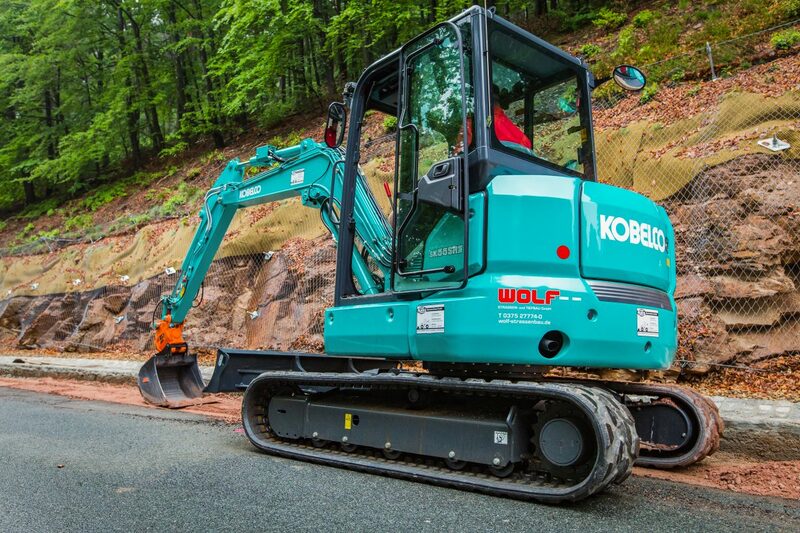 The SK55SRX-6 is one of four Kobelco machines currently owned by Wolf. 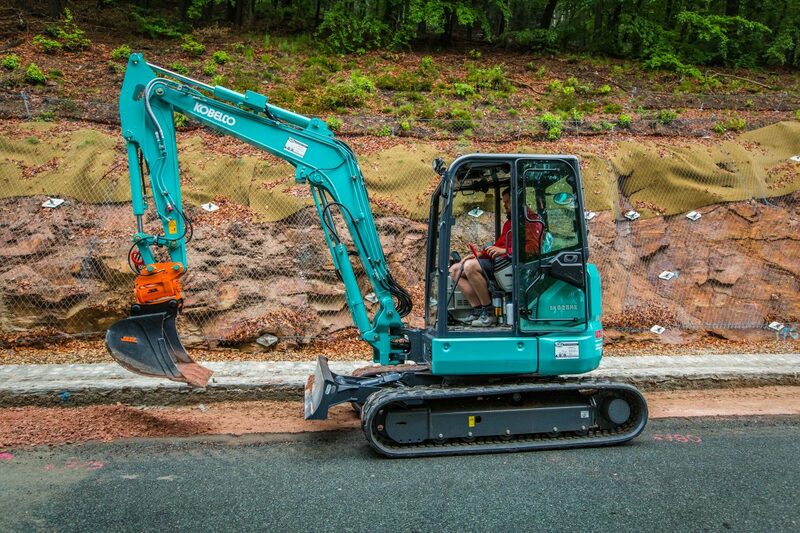 Previous good experience with other Kobelco models, including a SK85MSR, coupled with competitive pricing made the company’s decision to purchase the mini excavator an easy one. 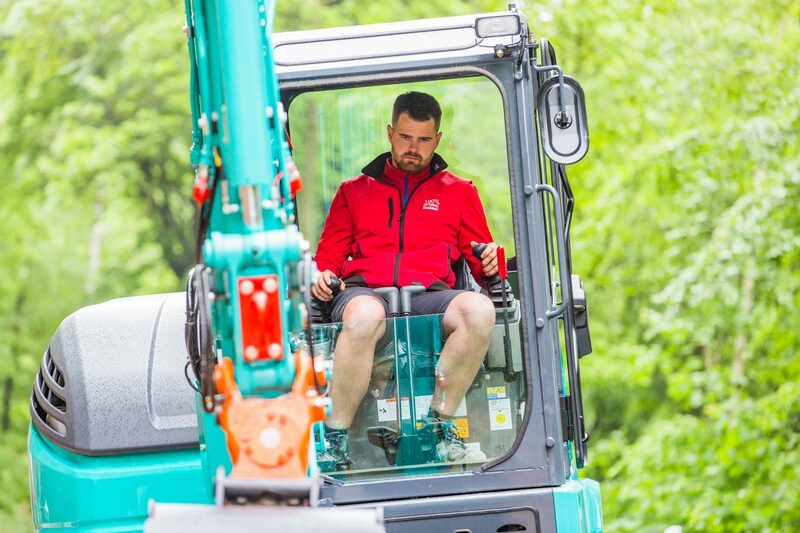 Since working with the SK55SRX-6, Michael has been impressed by its excellent build quality, spacious cab and smooth hydraulics.